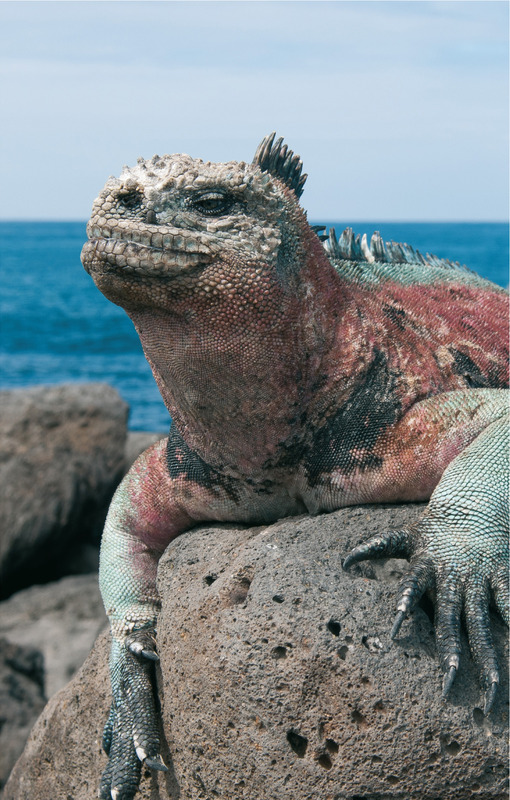 Morrill Hall will host the traveling exhibition "Galapagos" from March 3 through Aug. 6. Museum visitors will be able to explore the origins, animal and plant inhabitants, and current research on the Galapagos Islands through the traveling exhibition "Galapagos" March 3 through Aug. 6 at the University of Nebraska State Museum-Morrill Hall. Visitors will be able to "travel" to six of the volcanic islands; examine a variety of specimens, including a newly discovered butterfly species; and play with 10 touch-screen stations offering games and videos. The Galapagos Islands, with their fascinating and sometimes bizarre diversity, helped Charles Darwin develop his theory of evolution by natural selection. Since then, other important biological discoveries have occurred in the Galapagos. The islands continue to be a research mecca for biologists and a unique travel destination for nature enthusiasts. "The Galapagos story is still far from being completely known, with new species of parasites being discovered and new DNA evidence being published that question the traditional finch speciation story," said Susan Weller, museum director. "Our scientists are active researchers in the Galapagos, and our visitors have the opportunity to meet and ask questions about their findings at upcoming special events. I hope visitors will enjoy this ultimate stay-cation of a scientific voyage." The exhibition was developed by the Zoological Museum of the University of Zurich. Investigate: Second Saturday Science Lab, March 11, 10 a.m. to noon: Visitors will be able to learn about reptiles that live in the Galapagos' thermally challenging environment and see box turtles. Other activities include a bird beak game exploring finch evolution and an activity investigating how volcanoes form. For more information, click here. Science Cafe: "From Nebraska to the Galapagos," March 16, 6:30 to 8 p.m.: Judy Diamond, NU State Museum curator and former Charles Darwin Foundation board member, will lead a panel discussion on new discoveries in the Galapagos with fellow curators Robert Zink, Scott Gardner and Brett Ratcliffe. The three also will give a gallery talk. Science Cafe is a casual, educational and entertaining monthly series for adults 21 and older exploring a variety of science and natural history topics. For more information and to purchase tickets, click here.